In 2016 Piraeus Bank initiated a Bank wide loyalty programme to reward customers through the use of services and products throughout the Bank’s channels, both digital and physical. 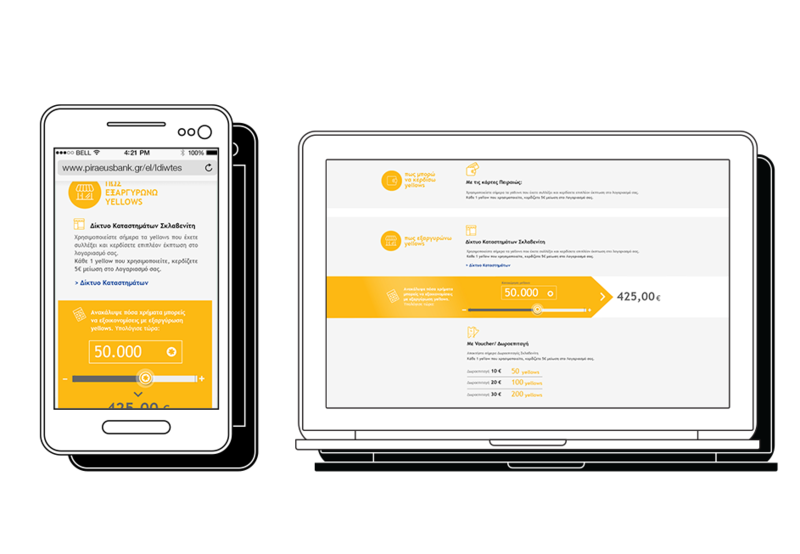 We were asked to create an information mini site within the bank’s main interface to explain the program and how it benefits customers. One of the key objectives was to explain the complexities of the program in a clear friendly way. Research showed that customers from other banks would be willing to switch to Piraeus bank provided the programme proved its benefits in a precise, no- nonsense manner. At the same time the Bank had already launched a successful offers platform called yellowday, which was incorporated in the program. As a result the mini site was structured to draw already existing customers form yellowday as well as new ones by simply explaining how customers may collect and spend points. A calculator was also created to show potential customers how they might benefit from the program in real cash and benefits. We followed a symbol rich aesthetic to explain in visual terms how the program works and a step by step presentation of the various touchpoints for points retrieval. 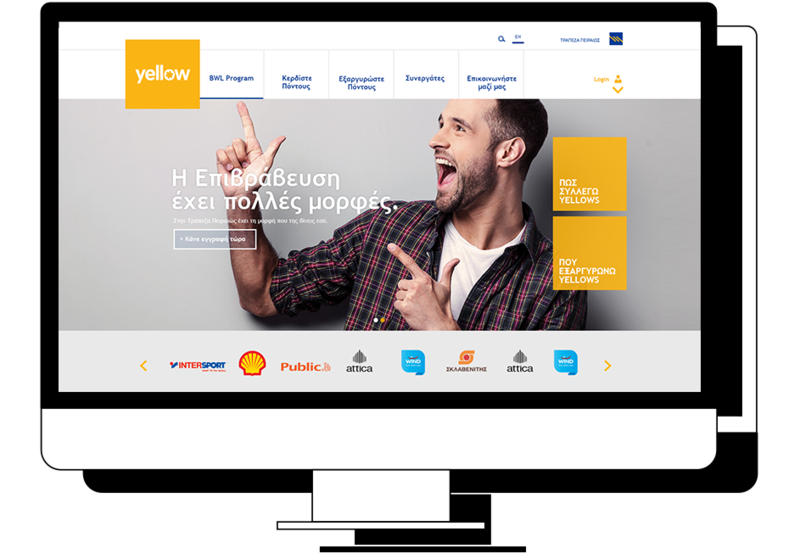 “Yellowday” Offers platform An Offers platform for Piraeus Bank’s benefits programme.